It worked! My help made my human get up and give me treats! Pawesome! « Will you take the leap? Aww bless him! I love seeing his adventures every day! Your human is lucky to have you. 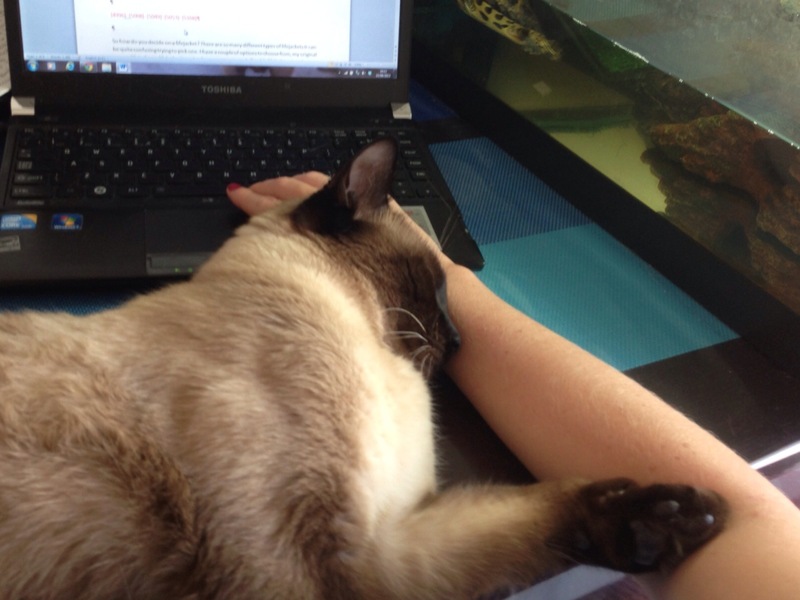 I am also lucky enough to have a pawsome helper like you. Oh so very helpful you are Bailey! No doubt she appreciated that a LOT! Cute picture of you and your Mom, Bailey! What would our pawrents do without us?? You cats are relentless…no respect for those humans! So sweet! The best of friends. Bailey, I like how you posed you and your mom in the first picture: two sets of blue eyes smiling at the camera! It’s so good you were able to help her! 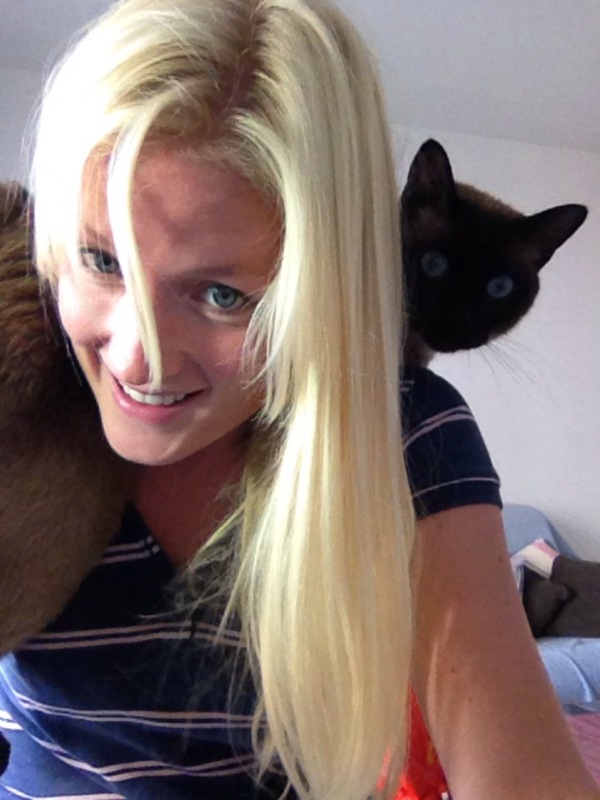 I’ve noticed too that it’s really hard to type with MaChatte on my shoulders. You have a very beautiful human Momma, Bailey. You are so thoughtful to help out. Ha! You have a cool cat! So cute!! He wuvs you sooo much mom!! Whatever it takes to get treats. Whee climb on Mummy when she wants to work at the compawter. Honestly, you’d think they should know by now, whee make the schedule! You’re a great assistant Bailey! An excellent job of helping Bailey. I am going to try that one today on Dad. great job Bailey!!!! That’s one way to get her attention! I learned “caturday”in this post; thank you! And this pic is…. vraiment superbe. Vos yeux resplendissent de bonheur! Well done, Bailey. To reward you, I’m now following your blog via Bloglovin. Looking forward to visiting often. Have a lovely weekend. Bailey mew rule! I love mewz adventures and smart observations on life, mew are a mancat any ladycat would be lucky to have. Purrrrrrr!!! Well done you! I hope you got extra treats as a thank you for all that hard work. I see you are just as helpful to your humans as I am! What a joy you must be to them…don’t forget to add some of your fur to their morning coffee. My humans say there’s nothing like a furry cup of fresh coffee in the morning!